Last night was the final episode for the Tonight Show with Conan O’ Brian and it was a memorable one. The guests included Tom Hanks, Steve Carell, and Will Ferrell performing a cover of Lynyrd Skynyrd’s Free Bird. For those who have a rock for a roof, Jay Leno and Conan O’ Brian have been trading verbal blows for the past few couple of weeks because NBC wanting to change their time slots. Conan did not like that and decided to leave the show because Leno was going to get his time slot. It was decided that last night was going to be the final show and then reruns will show until the Olympics. After the Olympics, Jay would return to his old slot. I remember when Conan first got his own show on NBC. There was an ad in the TV Guide for his new show. It basically said: “In the future, everyone will have their own TV show. Until that happens, please watch mine.” Of course, I’m paraphrasing because it was so long ago and I only read it once. I did not know who this guy was, but I did end up watching the first episode because of the ad. I guess it worked for me. I personally think NBC made a mistake to let Conan leave. I watched the Tonight Show more with Conan than I ever did. 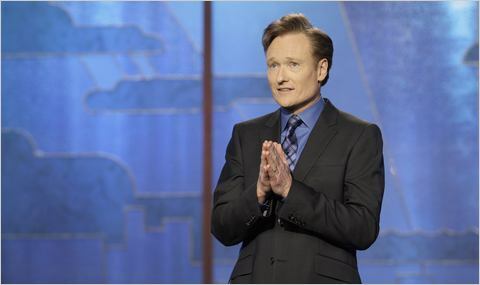 Not only will Conan’s viewers will leave NBC with Conan, but more viewers will have animosity with Jay Leno. The last show was something to remember. First, Steve Carrell came on to do a quick exit interview with Conan. Tom Hanks was the next guest and was funny. When watching this show segment, I learned that Conan was a writer for Saturday Night Live. I had no idea. I knew that he was a writer for the Simpsons, but I was unaware that he had ties to NBC before. Another thing I learned from that segment is that Tom Hanks first coined the nickname “Coco” for Conan. I always laugh when I hear the name used and always wondered where it came from. I personally think that the last performance was the best part of the show. Will Ferrell sang ok, considering that he is not a singer, but what really was significant was the stars that was in the band. Ferrell sang with his wife Viveca Paulin by his side, and the other musicians around him were ZZ Top’s Billy Gibbons, Beck, Ben Harper, and even Conan jamming with a guitar. Also, Ferrell playing with a cowbell brought back memories of that great SNL skit with Christopher Walken. It was a great show, and I hope for the best for Conan O’ Brian. “All I ask of you is one thing: please don’t be cynical. I hate cynicism- it’s my least favorite quality and it doesn’t lead anywhere. Nobody in life gets exactly what they thought they were going to get. But if you work really hard and you’re kind, amazing things will happen.”-Conan O’Brien. Math Man! Math Man! Math Man! When I was in elementary school, there was a national “crisis” with math test scores across the United States. It was decided that the way to combat this was to have educational programming on television. Of course, the best way to do this is to put these learning shows on the most watched channel ever: PBS. But just to make sure that the shows are publicized enough, teachers informed students that shows like the revamped 3-2-1 Contact and new shows like Square One Television were airing. Since I’m such a dork, I was absolutely going to check out these shows. Looking at these shows now, it amazes me on how I used to watch anything. I used to watch Square one every day after school since it came on after the cartoons. Maybe I watched crap, but I wasn’t going to miss Ninja Turtles or DuckTales for crap.